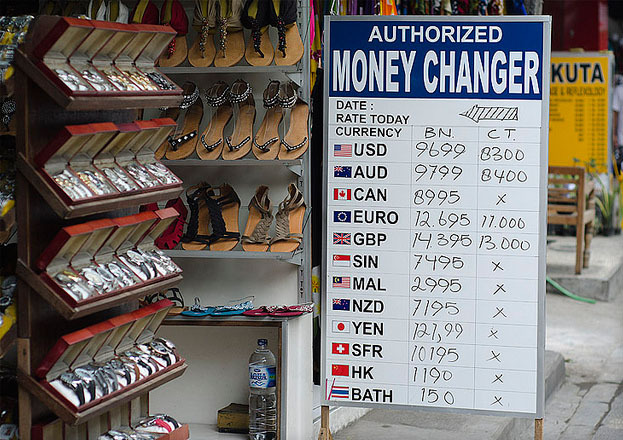 If you are headed to Bali for a short beach getaway, many will tell you that the currency exchange rate over there is actually better than the domestic money changers. 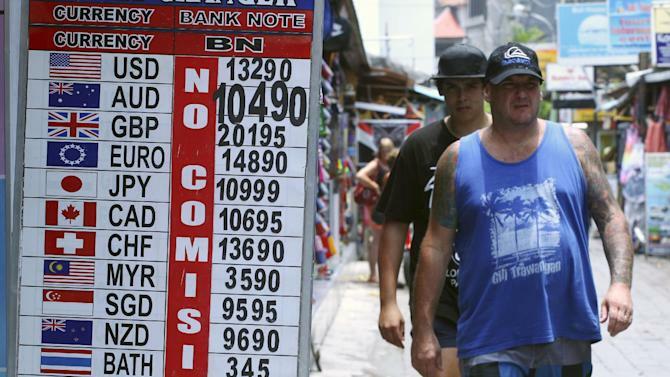 A typical Singapore money changer offers an exchange rate of S$1 = 9500 Rupiah on average, while in Bali, it is around 9800 Rupiah. The cautious will say that this is often too good to be true. 1) Some of the money changers that offer exorbitantly high exchange rates may ask for commission, which dissipates it to roughly the amount you will get in a domestic money changer. Usually, these money changers are found within a shop itself, with money-changing as a side business. You may have to walk a long way in. 2) The walk into the shop is long, and as you walk in, try not to be distracted or be feared by how shady it might look. The surrounding may impose a power of suggestion on you. We spent a great deal observing the shop itself (the lighting and ambience) and scared ourselves in paranoia, which we supposed contributed to our pitfall. 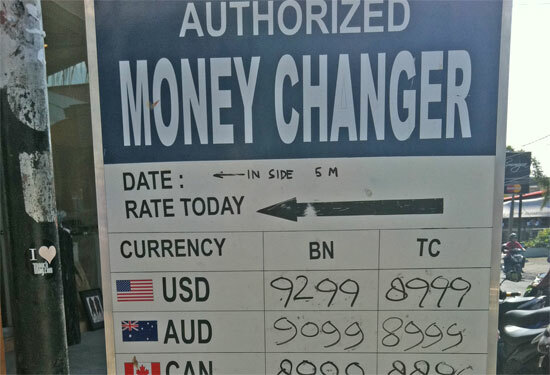 3) The exchange rate usually comes in a lot of the number 9, in a bid to induce psychological pricing. It does work as a distraction though. For us, we changed S$50 at the rate of S$1 = 9999 Rupiah, which works out to 499,950 Rupiah. We were asked to give the guy an additional 500 Rupiah coin in exchange for 500,000 Rupiah. Of course, 500 Rupiah is not much of a loss, but it is an immense distraction for you when you are counting your cash. 4) Once you’ve counted your currency, keep it close to you and never ever let the money changer to touch it anymore. If he does, he will likely slip a few notes out of his hands like a magician. 5) Do not be stunned by the denomination of the currency he uses. Usually, they will go for a smaller denomination for you to count more, in a bid to make you lose count or settle for less. We received in denomination of 20,000 Rupiah, which stumped us for a moment as we were prepared to receive 5 x 100,000 Rupiah or 10 x 50,000 Rupiah. 6) Before leaving the shop, the natural instinct would be to count the money again. At this point, ignore the distraction that is asking you to keep your cash. Count your money properly with a cool mind before leaving the shop, this is your last chance to prevent yourself from being cheated of your money! We associated some of these distractions to the power of suggestion; there is a need to be subconsciously alert at all times. Above all, overcome your paranoia, and not succumb to the fate of a self-fulfilling prophecy.